A special shower formula with moisturizing Jojoba oil for depilation of legs, armpit, bikini area. 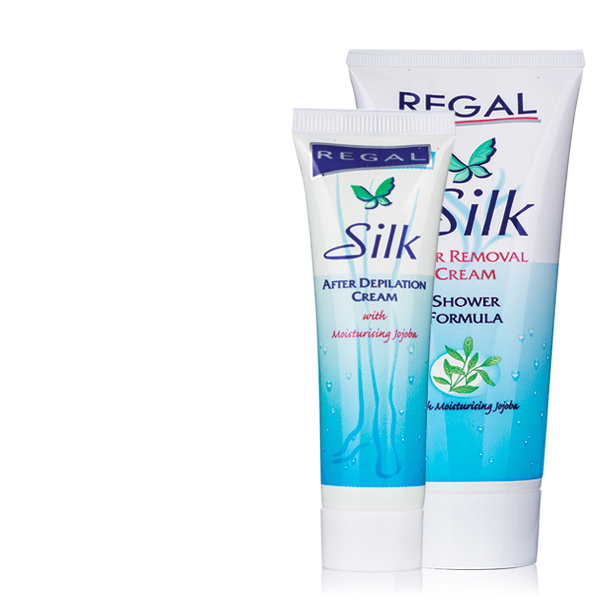 Light and mild cream with Chamomile extract, allantoin, vitamin F and coconut oil. Calms and moisturizing the skin after depilation. It has anti-septic effect. Usage: Apply the cream on the desired skin area. Wait for 6-8, max. 10 minutes and remove the cream with the help of the sponge under the shower without additional effort. The total time for depilation must not exceed 10 minutes. Apply after- depilation cream on the washed and dried skin. Do not massage! Protective measures: Follow strictly the instructions for use and make the describe skin sensitive test. On contact with the eyes wash thoroughly with water. Keep away from children. Contains salts of the thioglucolic acid. Contains alkalis.